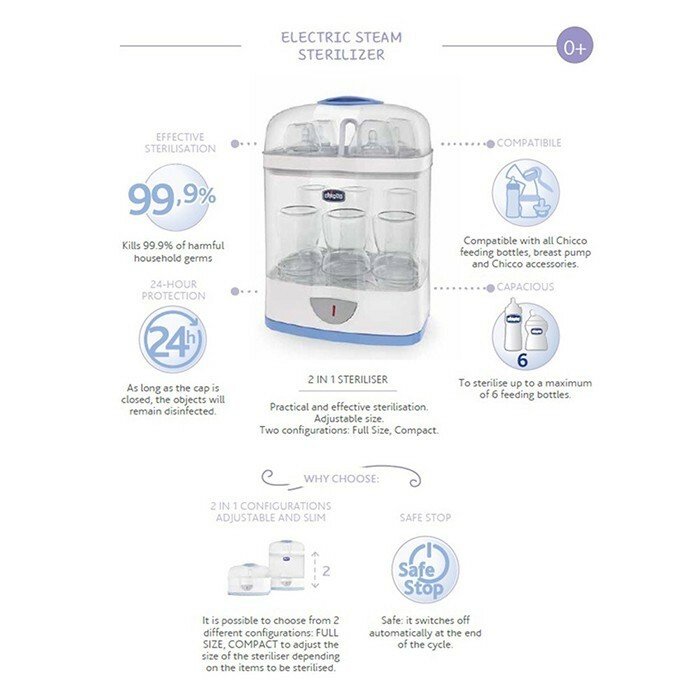 Steam Sterilization eliminates household germs thanks to the high temperature of the water and the sanitizing power of the steam without using chemical additives. 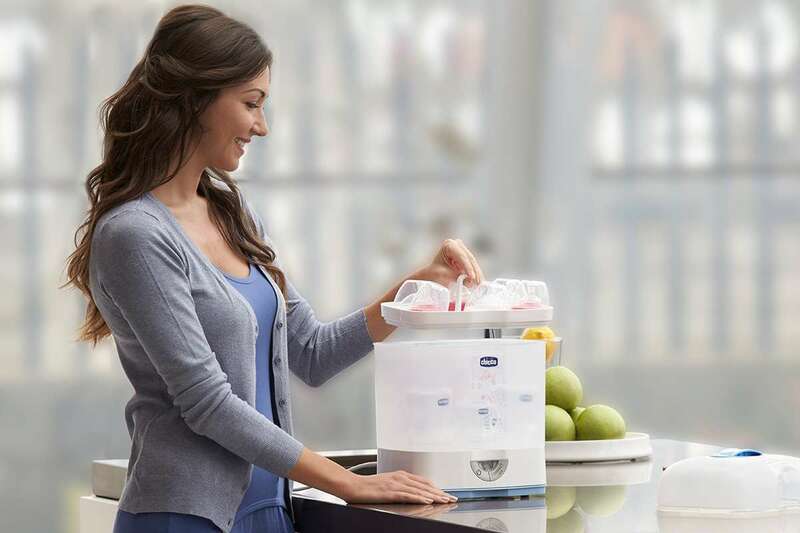 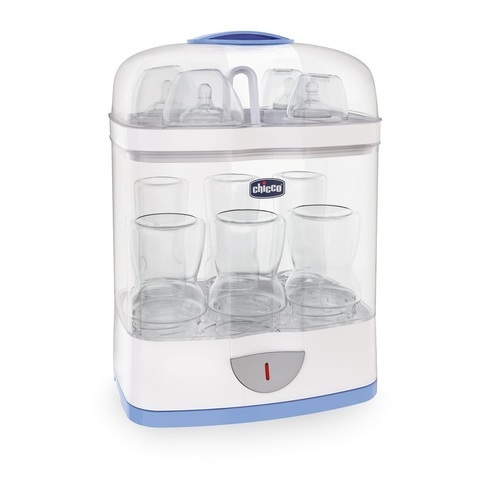 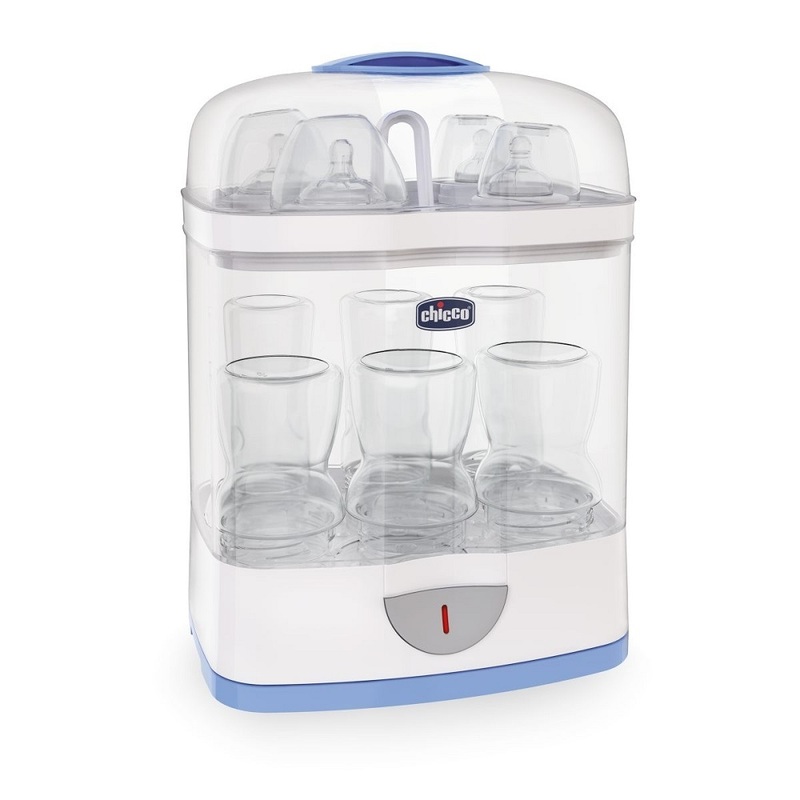 It leaves no odors and flavours on sterilised objects and does not require rinsing. 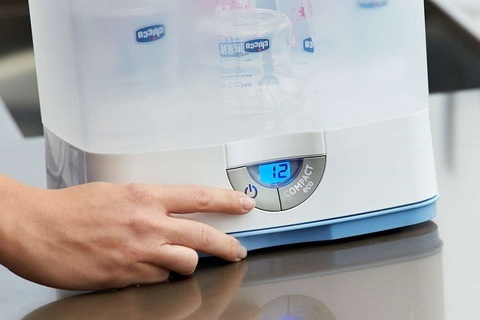 It is a product that eases the daily practice of sterilization. 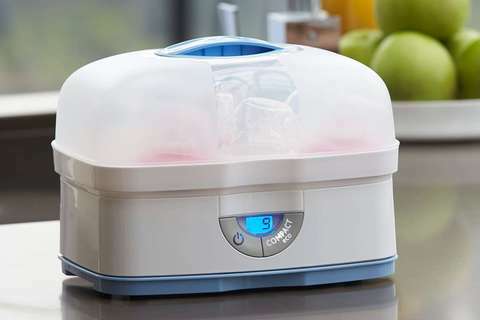 It allows to sanitize all the objects that are contact with the baby and, if needed, to keep them protected until the lide is closed. 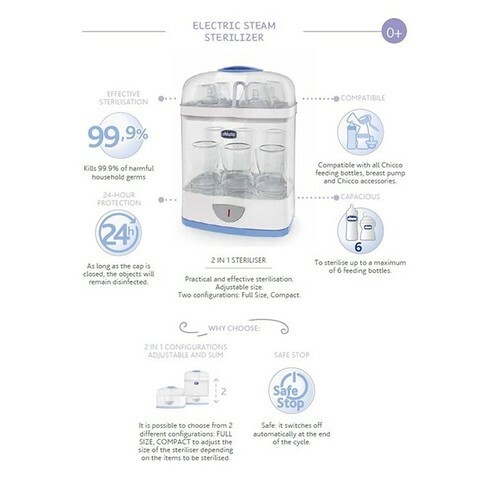 Sterilization is an essential component of a newborn baby's overall care, and ensures tranquility to moms. During their first twelve months, babies immunitary defenses are low, and through sterilization of everyday objects are therefore fundamental to prevent tummy aches or gastrointestinal and oral infections. 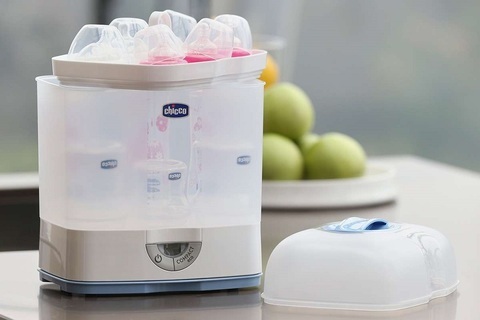 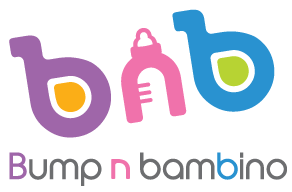 Compact: To sterilise up to two feeding bottles, 1 breast pump or other small item.